Chocolate bark is one of the simplest candy you can make. 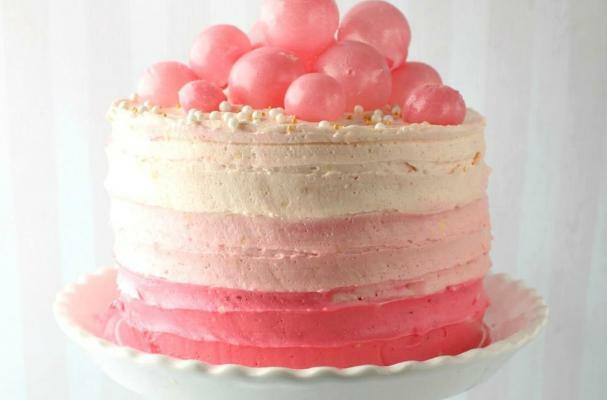 This pink version adds a festive touch along with red and white chocolate candies and heart sprinkles. 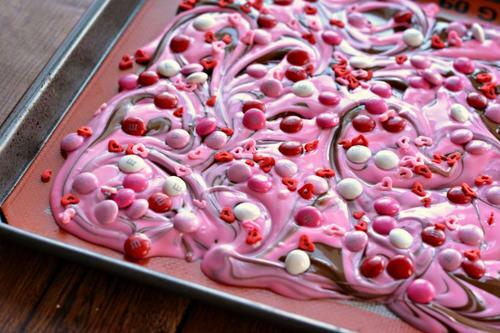 Milk chocolate is swirled with bright pink candy melts to create a marbled effect. If you prefer, a few drops of pink food coloring into melted white chocolate would also work. French macarons are a delicate almond flour cookie that is often sandwiched with buttercream or jam. These precious heart macarons are perfect for a holiday dedicated to love. Macarons can be finicky so make sure you read the recipe in its entirety and have all your supplies ready before beginning to bake. Raspberry meringue cookies are a simple, light as air treat for Valentine's Day. Egg whites and sugar (a tablespoon at a time) are whipped until stiff peaks are formed. It is important to use seedless jam for this recipe to maintain the smooth texture of the batter. 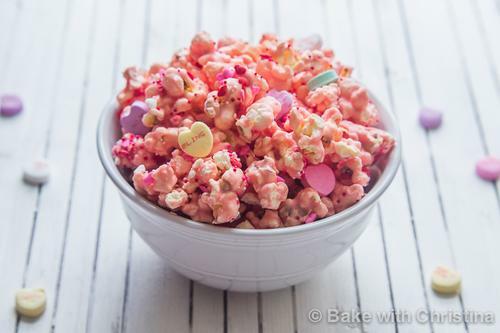 If you are looking to make a special snack for your kids on Valentine's Day, this pink candy heart popcorn is a guaranteed winner. Popcorn is mixed with pink candy melts to create a beautiful pink sheen along with classic conversation hearts and red sprinkles. Feel free to add your child's favorite Valentine's Day candy to the popcorn mix.